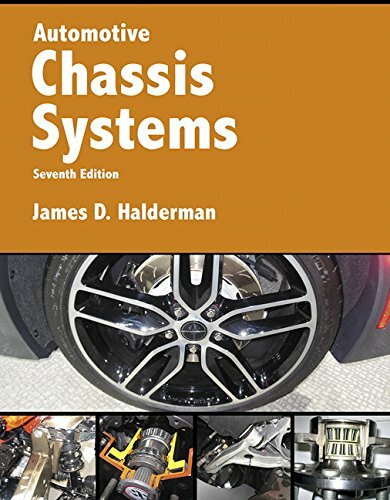 For the purposes of this module, a control system functions to maintain process variables within their prescribed ranges. If a process variable approaches a value outside of its prescribed range and that could result in damage to the monitored equipment, a protection system will function either to restore the variable to an acceptable value or to shut down the equipment. The control and protection systems that are used on dynamic and positive-displacement compressors are different because the systems reflect the characteristics of the equipment. The dynamic compressor control system must maintain the compressor flow rate and the discharge pressure within prescribed limits. 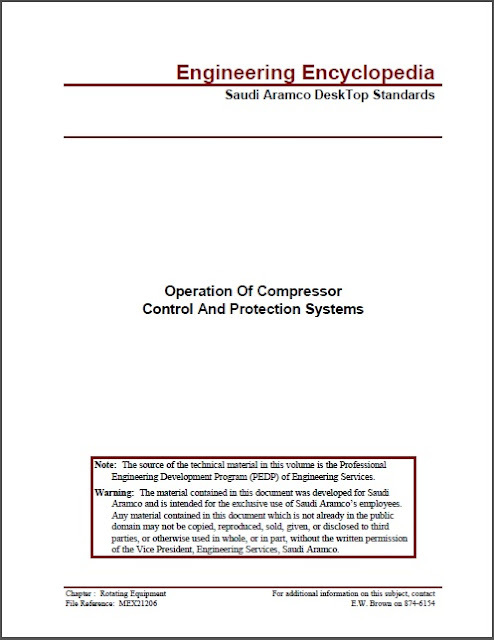 The protection system must prevent the compressor from operating under surge or stonewall conditions. Surge and stonewall are damaging conditions, and they are discussed in more detail later in this module. 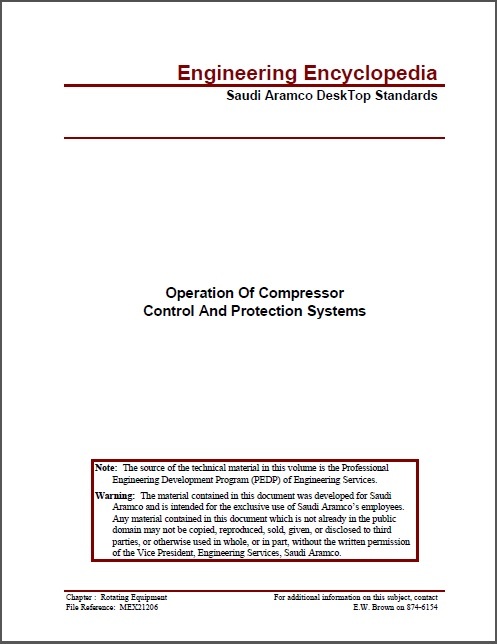 Unlike the control and protection systems of a dynamic compressor, a positive-displacement compressor cannot self-regulate capacity against a given discharge pressure; the compressor, because its characteristic is constant volume, will simply continue to displace gas until it receives a signal not to do so. As a result, various methods of changing the volume flow must be used. Because each rotation or stroke of the compression elements will displace a given volume of flow in the discharge system, protection of all positive-displacement compressors requires a device to limit discharge pressure. Because the volume of the discharge system is fixed, the discharge pressure will continue to rise.